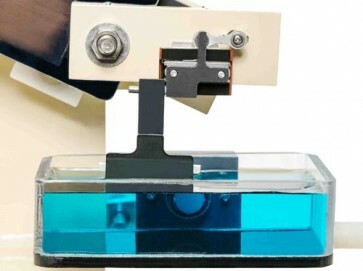 The entry level Compresstome® VF-200-0Z Vibrating Microtome with Auto Zero-Z™ technology is used for electrophysiology and organotypic culture applications, and for preparing precision-cut lung slices. The Compresstome® VF-200-0Z is a semi-automated vibrating microtome for sectioning fixed and live tissues, down to 10 µm precision. This model comes with Auto Zero-Z™ technology, which removes Z-axis deflection by calibration during the manufacturing process. This means you never have to calibrate the slicer, and there is no shearing of tissue surfaces during sectioning. Comes with one-year warranty. Can cut tissue slice thicknesses ranging from 10 µm to 2000 µm, at 10 µm intervals.